At the beginning of each round, reveal a number of Threat Tiles from the top of the stack equal to the number of players, then place those Threat Tiles face up next to the Cell Board. Then each of the players take a turn, rolling and spending their dice. The start player takes the first turn, then play passes to the other players in a clockwise order. 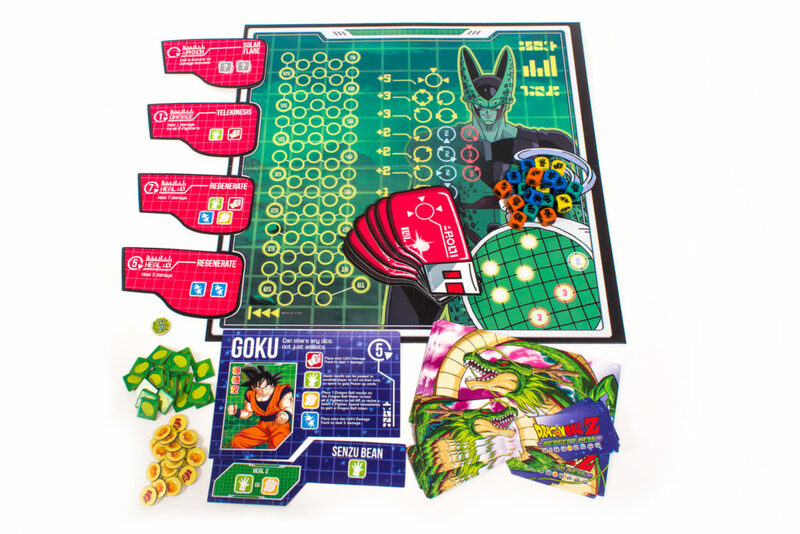 After all players have taken their turns, Cell activates all of his active Threat Tiles, regaining health and dealing damage to the Z-Fighters as indicated. Taking a closer look at the Power Up Tiles, they represent permanent powers that the Z-Fighters can acquire through training. Acquiring these Power Up Tiles will be essential in their effort to defeat Cell. Most Power Up Tiles have an effect that can be used if you spend the indicated dice. You must spend all of the required dice at once in order to use the effect. By spending the required dice multiple times, you can use a single Power Up Tile multiple times per turn. You can have a maximum of 3 Power Tiles equipped at a time. If you acquire another, you must immediately discard one that was previously equipped. The Threat Tiles indicated the various maneuver that Cell will perform. All face-up Threat Tiles are considered active. New active Threat Tiles are revealed at the start of each new roudn. Each Threat Tile that isn’t cancelled by the Z-Fighters will activate at the end of each round. 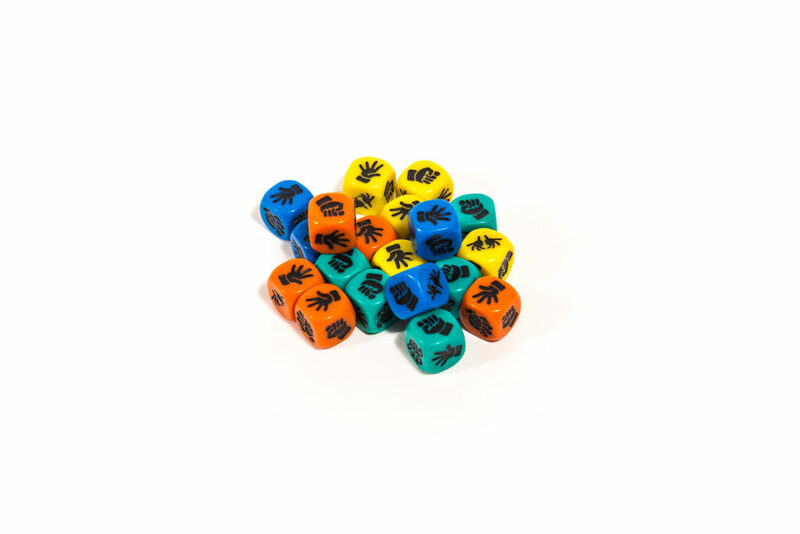 Some Threat Tiles prevent dice from being shared or rerolled. Any such limitation remains in effect as long as the Threat Tile has not been discarded. The tiles that have not been cancelled remain in play from round to round, so it is likely that, for some rounds, there will be more Threat Tiles in play than the number of Z-Fighters. It’s important to manage these Threat Tiles so you don’t get overwhelmed! Dragon Ball Z: Perfect Cell, by Chris Bryan is on shelves now. Check out your local game store and save the Earth from Perfect Cell! ← Galaxy Hunters Kickstarter Moved To April 11th!